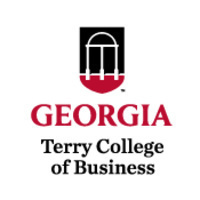 Please join the Terry Professional MBA Program for an after-work reception for the 2018 entering class and prospective PMBA students. Come prepared to network and mix and mingle with new PMBA classmates, current students, and recent graduates. Attire is business casual. REGISTRATION REQUIRED. Maggiano's Little Italy Buckhead, Francesca 3368 Peachtree Road NE on the corner of Peachtree Road and Stratford Road.